The Boston Celtics are having their way with the Los Angeles Lakers Thursday night at TD Garden. This thing got out of hand relatively quickly with the home team opening up a 53-35 lead against the drama-filled Lakers midway through the second quarter. 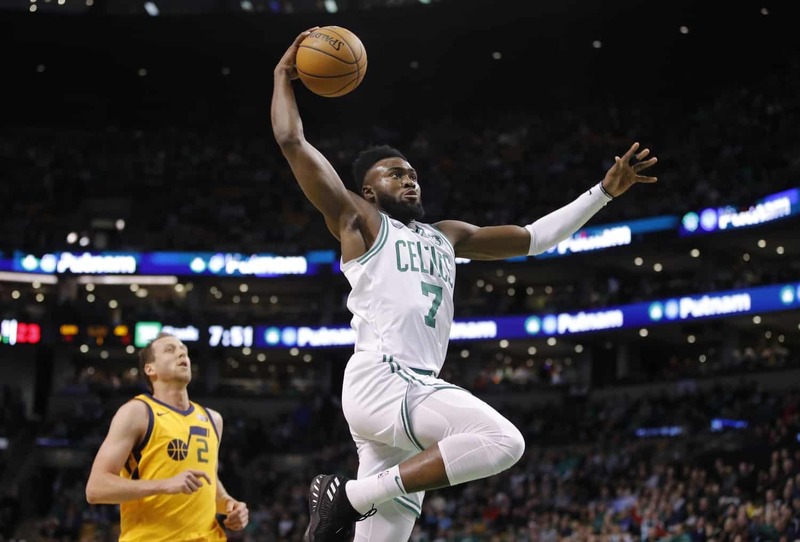 Celtics youngster Jaylen Brown played a major role in this early — going for 11 points on 4-of-5 shooting in his first 10 minutes. But it’s these two points that sent fans in Boston to their feet. Facing no opposition on a fast break after teammate Gordon Hayward stole the ball, Brown threw down a monstrous dunk that likely registered on the Richter scale all the way back in Los Angeles. Far too often, we’re seeing these NBA players take their frustration out on the rim like it slid into a significant other’s direct messages or something. As for the Lakers, we’re seeing this team crumble right in front of our eyes after it was unable to pull off the Anthony Davis blockbuster prior to Thursday’s NBA trade deadline. Having to play in Boston isn’t going to do this squad any favors. Brown made sure the Lakers knew that early and often.